Is Dimethicone (Silicone) in your Store Bought Moisturizers? “I am allergic to dimethicone and unfortunately it is in everything. I have oily skin that is prone to acne. However, sometimes I think it’s because I’m having a allergic reaction to my shampoo or conditioner or toothpaste. Like I said dimethicone is in everything. Do you have make up, moisturizers, sun screens, hair products and or toothpaste without dimethicone? Desperately seeking a great product without silicone in it, but I live in Hawaii. Is it still free shipping? Thank you in advance for responding to me.” -Debra N.
You along with many others, including me, are allergic to dimethicone, or silicone. it has many other names and is not even required to be listed on the label. it is a menace. manufacturers (even small ones)use it because it makes filling bottles easy. no bubbles or foam. and in hair care it is used to make the hair ‘silky’ but seals the hair shaft and causes the hair to die. we do not use any silicones or dimethicones or anything associated with those chemicals. Take a look at your store brand moisturizer and glance at the ingredients. Out of all of the unpronounceable names, look for Dimethicone. Also referred to as silicone, Dimethicone has a place in this world. Is that place in your moisturizer? In order for a moisturizer to restore moisture to the skin it needs to enable the absorption of materials into the skin. Otherwise it’s just something that sits on the skin. Silicone smothers the skin and makes the moisturizer sit on the skin. The greasy feeling you get when you put on that moisturizer with silicone is actually the silicone particles sitting on your skin. If a silicone-based moisturizer is such a walking contradiction, why do companies use silicone? Silicone is used for one reason – to treat bubbles and foam. Bubbles become a major problem when manufacturing in large quantities. Without silicone, that product of yours will come in the mail half full after all of the air bubbles popped. 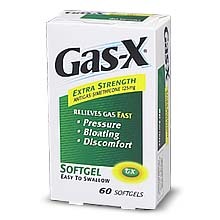 Now it makes sense why Gas-X would use this ingredient (it fights gas). A silicone-based moisturizer may also contain a more consistent feel. Some may experience side effects such as irritated skin including rash and stinging. By appearance these store brand moisturizers look great. They may feel great at first. But they do little. Those precious oils you hear about on the labels don’t even go in the skin. We will never put silicone in our products for this very reason. That means hand topping off every product for getting rid of air bubbles. This also means more care is put into the manufacture. Only a few hundred bottles are made a time for this reason. Next time you put one of our moisturizers on your skin, notice how fast it absorbs into your skin. You’ll stay moisturized longer without it sitting on your skin. That’s a real moisturizer!